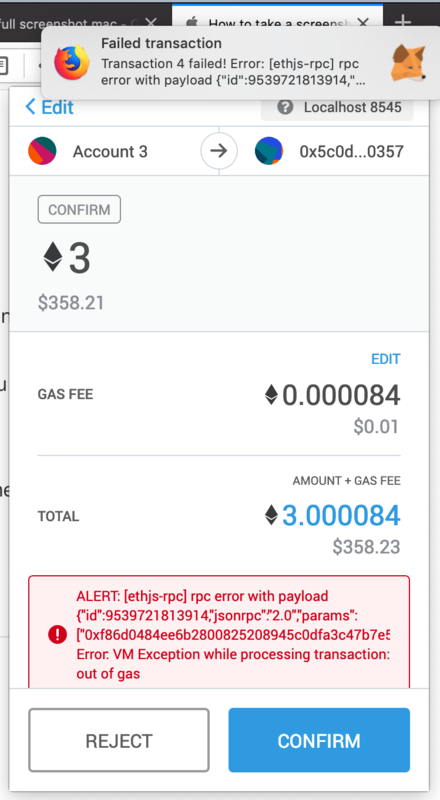 -While the error message says "out of gas" I know that can't be true since all my accounts have like 100ETH in them. Not the answer you're looking for? Browse other questions tagged solidity truffle metamask or ask your own question.